Being part of a builders association has many advantages. As a business owner, you owe it to yourself to do everything in your power to grow your company. As part of the Washington County Builders Association, we can help you grow your business through a variety of different ways. Every business owner knows the value of networking. Building relationships is vital in all industries, but it’s even more important in Home Building and Remodeling. Through our yearly events, meetings, and shows, the WCBA offers tons of different opportunities to network with other industry professionals to help grow your business. No matter if you’ve been in business for 50 years or 5, continuing your education is important to the health of your company. From learning about sales and marketing to new trends in building construction, the classes, workshops, and seminars offered by the WCBA is a great way for you to stay up to date with trends and gain new clients. We all know that the best way to gain clients is through effective marketing and advertising. Where else can you find the best marketing and advertising opportunities than through the WCBA? Through event sponsorships, advertising, and promotional opportunities, your business will be front and center when potential clients are looking for builders. We are here to help promote your business and maximize those advertising dollars. As a member of the WCBA, your business will be part of a group that gives back to the community. Through the WCBA Charitable Foundation, the WCBA and its members, fosters workforce development and charitable outreach related to the building trades. The WCBA Charitable Foundation gives yearly scholarships to help grow our business with the best talent. These 4 reasons are just the beginning! 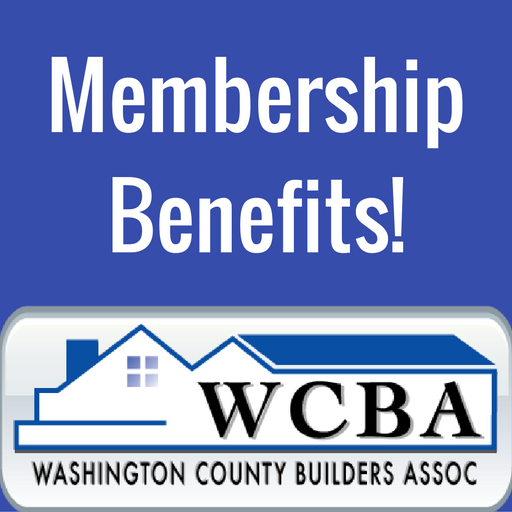 Learn more by speaking to the WCBA and finding out how we can help grow your business through membership!